Over time this inflammation can damage the lungs, causing the tissues to scar and harden (fibrosis). This can make breathing difficult, and lead to further complications that can be very disabling. How is exposure to silica dust controlled? Because the risks posed by silica dust are so great and it is found in so many common materials , limits have been set on the amount of dust that workers can be exposed to. The Government has also brought in a set of rules to protect employees. These are known as the Control of Substances Hazardous to Health Regulations 2002, and you can find out more about them in the work accident section of this website. Employers are expected to always abide by these rules and make sure their staff follow all safety precautions. Negligence can happen however and if the actions or inactions of another exposed you to a substance that caused you to develop silicosis, you could be entitled to compensation. Thompsons’ No Win No Fee lawyers are specialists in dealing with claims for respiratory diseases such as silicosis. We realise that being diagnosed with a condition as serious as silicosis will deeply affect you and your loved ones, putting you under great strain, financially and emotionally. That's why, at Thompsons, we approach every case with sensitivity, putting you and your family's interests at the heart of everything we do. We only ever represent the victims of personal injury – never companies or corporations. Our goals lie with ensuring people do not suffer as a result of negligence without getting fair recompense. Our solicitors are sympathetic and practical, and will help you through the process, fighting to obtain the maximum compensation for you, in the quickest possible time. 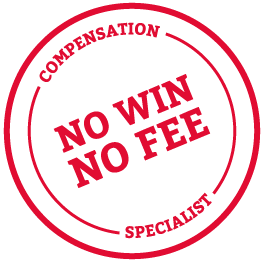 As a firm, our legal expertise is second to none, and our confidence is reflected in the fact that we offer a No Win No Fee service. This means that if your claim is unsuccessful, you won't have to pay a penny. So there is no need to worry about incurring unnecessary legal fees. If you have any concerns or queries about the claims process, then call one of our expert solicitors today on 0800 0891331 to have an initial discussion about your case. We will happily advise you on your case and inform you of what your best options are.